I am lucky enough to have had the opportunity to have an in-person reading with Vanessa on a few occasions. Every time I finish a reading with Vanessa I know exactly what needs to be done to fix the problem I was seeking help with. I always leave feeling refreshed and more confident. She is very intuitive and detailed in her readings- she really knows her stuff! She is very helpful and makes it easy for me to understand the cards and how they coincide. Vanessa always makes me feel comfortable when discussing whatever the issue or problem may be. She is definitely the best tarot reader I have ever had the pleasure of sitting with. 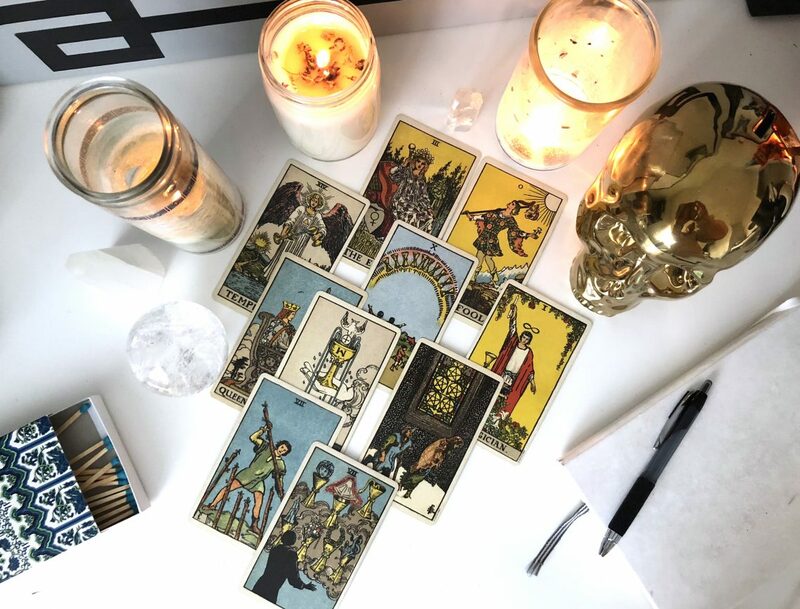 I highly recommend Vanessa to anyone looking for a true and accurate reading. Can’t wait for my next visit! Vanessa. Thank you from the bottom of my heart for your work. Your wisdom, intuition and interpretation of the cards was fantastic and exactly what I needed to hear. I’m printing out the reading so I can remind myself to be strong in my beliefs and convictions. Thank you, thank you, thank you. Spot on! Thanks for the concise guidance – so quickly, too! Wow! You’re spot on with this reading because recently I left a job that I had been doing for the past couple of years. It wasn’t working out and I thought it was time to seek other opportunities. Your messages give inspiration to stay the course and be positive!! I’m feeling hopeful. Thank you. I’ve been going through some challenging times in the last month or two. So I decided to connect with Vanessa for a soul filled reading. I actually don’t purchase readings for myself very often at all. But I felt the need to see what wisdom Vanessa had for my situation and just meet with her on a deeper level. I’ve always found her authenticity to be one of her most alluring qualities. Very hard to find someone like her in cyberspace. She is grounded in truth and creates such a supportive and peaceful space on the internet. Not surprising that my session with her was so calming and nurturing. She also has a way of being firm with her intuitive guidance in a confident and loving manner. With gentle strength she leads you through tough spaces in order to come to a more full understanding of yourself and the world around you. Bringing about much needed clarity and healing. I was given this gorgeous photo of my reading to ponder and meditate on. She is also a photographer and creates such a tranquil yet simplistic atmosphere in her photos. A meditation in itself. Days later I’m still uncovering jewels from my reading with Vanessa. I truly recommend her deep wisdom and intuitive healing for your next self care session. She is a gem and I’m so grateful to know her in this vast universe.